If you don’t mid some heavy lifting, we’ve got some amazing concrete pieces that are ready to go home to your garden! 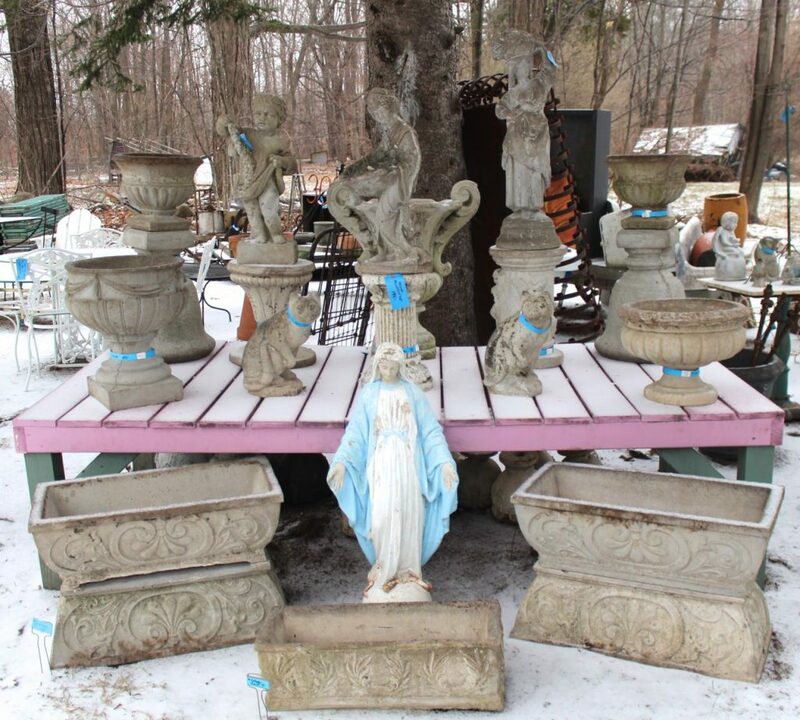 Statuary, urns, planters, fountain tops…we’ve got a little bit of everything! Prices range depending on size, age, and condition.